The holistic healing guide covers information about healing mind body and spirit. Its pages also offer food for thought about nature vs nurture, choosing a practitioner, personal responsibility, allopathic and alternative medicine and much more. Holistic healing is a broad term with varied meanings. Generally, it is the philosophy of promoting mind body spirit wellness for you as a whole person and not just focusing on parts of you that are out of balance. This approach is often thought of as a set of natural methods in hopes of curing an ailment. It is much more than that. I prefer to think of it as the path to wholeness. You explore and travel the path to reveal and enliven your true authentic Self. This you is at peace. It is calm, healthy, wise, compassionate and grounded in Truth and unconditional Love. It lives in harmony with self, nature and others. The journey is a continuing process of accepting and loving yourself and others in the healthiest of ways. Holistic healing puts the responsibility and power for your recovery and ongoing wellness in your hands. This is empowering but may also feel scary or overwhelming. It is wise to work with a medical professional, healer or other expert, but ultimately you are responsible for choosing and implementing a wellness plan that works for you. This process of whole self healing is esoteric and also down to earth. The ultimate goal is to bring your mind and body back into balance and encourage your authentic self to shine through. This happens as you shed emotional and physical toxins and replenish yourself with what you need in the short term and over your lifetime. 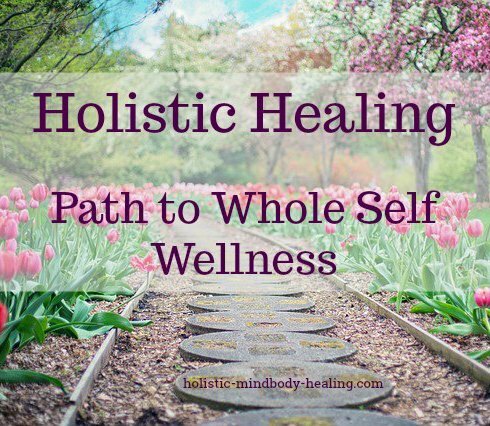 Holistic healing is not a cookie cutter approach. People with the same 'dis-ease' may end up with completely different treatment plans. Factors such as personal motivation, symptoms, lifestyle, resources, stress levels, and emotional and mental history have to be considered. Wellness plans may include modern medicine such as surgery and pharmaceuticals and/or alternative therapies such as acupuncture and herbal remedies. To be holistic, they would also include practices such as meditation, forgiveness, emotional healing techniques and/or nutrition and yoga (to name a few options). You may get amazingly quick resolution of your specific health concern or it may take months to notice a meaningful shift. You may be surprised by a result unlike what you were expecting. Many a cancer patient has claimed healing even though death was imminent. They sought physical healing and received a healing of mind and spirit instead. People often come to holism because they are dealing with specific issues such as depression, diabetes, cancer or too much stress. They may be looking for natural ways to treat their condition or are disillusioned with how they were treated by the medical system. Perhaps they are exploring all their options. You may manage symptoms but the main focus for getting well is addressing the cause. This involves detective work and is often not obvious. For example, your heart disease may be a result of a poor diet, smoking and lack of exercise. Correcting those lifestyle habits will be valuable for your heart and physical health as a whole. But a deeper underlying cause may be bitterness toward someone who hurt you. The underlying stress and toxic drip of unforgiveness may be damaging your blood vessels. Maybe your heart was broken in the past and that incident is still affecting you subconsciously. Nurture yourself as a whole person. Don't only focus on the vulnerable, 'dis-eased' part. The understanding is that something within the whole is stressing the part, as in the example above. When the whole is restored, there is a possibility that the part will recover. If time is on your side, explore options to naturally help and heal yourself mentally and physically before choosing more invasive, unnatural parts focused options such as pharmaceuticals and surgery. Then there is a possibility that the part will recover when the whole is restored. Consider natural and allopathic options. There is a common misconception that the holistic approach only uses natural methods and remedies. This is a misconception. Both allopathy and alternative complementary methods have much to offer when used appropriately. 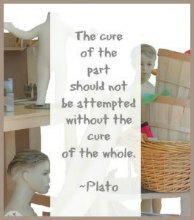 The whole self approach does give your body every chance to do what it is designed to do - heal itself naturally. The body seeks balance and health. Providing what is needed and removing what is harmful makes it possible to restore and maintain that balance. Many modern medical conditions are lifestyle related. Stress, poor diet, being sedentary, being self-serving at the expense of others make your mind and body sick over time. Correct these bad habits and your health will improve. If medical technology is needed, then use it. But complement it with lifestyle adjustments and natural methods where applicable for real healing. Otherwise you will most likely just be masking or suppressing the cause. A comprehensive approach using natural methods, allopathic medicine, energy healing, and mental and spiritual wellness practices is the basis for the information and techniques shared on this site. The well-being of your aura or human energy biofield is another part of whole self healing. Parts of your energy system include the chakras and meridians. The energy body has long been the realm of healers, but scientists are learning more about it as technology catches up with age-old wisdom. For example, they now know that your cells emit light which extends an inch outside your skin. This is how cells exchange information. Fascinating. Your energy system is affected by how you take care of your body. It is affected by your thoughts, beliefs and perceptions. It is affected by your interactions with others and environmental conditions. Another important aspect of wellness is your interconnection with other people and the beings you share the planet with. This is not woo-woo. We are all part of the interconnected web of life. When you heal yourself, you in some measure heal others. As you heal others, you heal yourself. It is a universal law. Are you looking for a starting point on your path of holistic healing and wellness? The following pages offer a good place for you to begin your journey. Start here if you are generally healthy and want to stay that way..
Visit this page if you are facing a health crisis or are in need of a major mind body wellness upgrade. Take a structured tour of this site and get a comprehensive education in the holistic approach to wellness. Sign up for the free 7 week HMBH Natural Health and Healing E-Course. Not sure where to start? Take this quick assessment to find out. The e-course, quiz and more are yours free as my way of saying "Thank You!" for subscribing to my newsletter. Continue reading about holistic health and healing. Click on the text links below to visit the following pages. Holistic Medicine- What is it and how can it help you? Nature vs Nurture - What role do your genes play in health and what role does mind, body, spirit and environment play? You may be surprised by the answer. Holistic Health Education -Schools and suggestions about choosing schools for personal use and professional careers. Understanding the mind body spirit connection, supporting it, and tapping into its power heal are three pillars of holistic healing and the cornerstone of manifesting techniques. The field of alternative and complementary medicine has been around for thousands of years. Some methods are ancient, while others are being developed even as you are reading these words. Some forms of CAM have gone mainstream, while others are used outside the realm of recognized modern medicine. To say that some of these methods provoke a lot of controversy is an understatement. Allopathy is the approach modern medicine generally takes to health care. 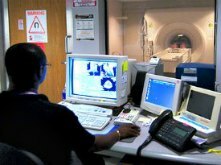 It is a system that primarily deals with parts instead of the whole and addressing symptoms rather than the cause. Modern medicine has remarkable strengths and weaknesses. Although some people may argue this, it comes under the umbrella of holistic healing when used as part whole person healing plan. What are the benefits of Allopathic Medicine? What are the drawbacks of Allopathic Medicine?